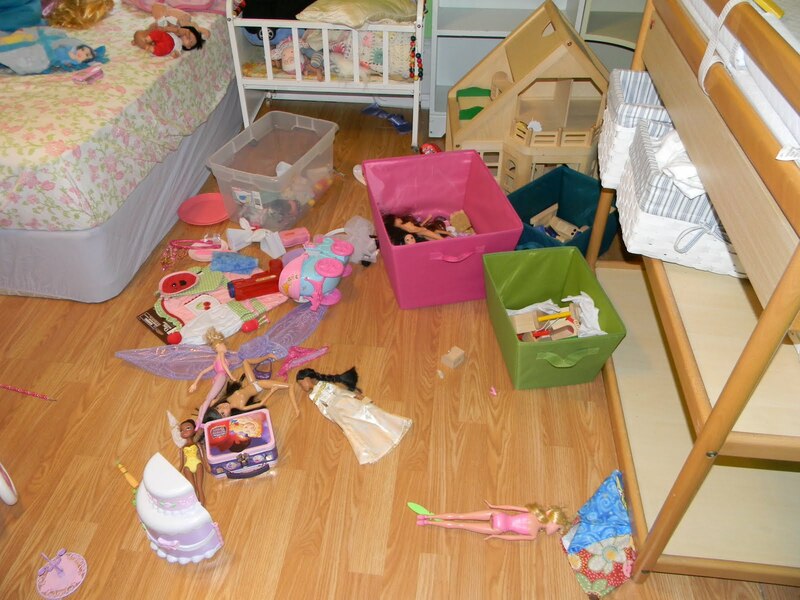 Modest Mama: This mess needs some help! It's Barbie and Princess mania at my house lately. I got these bins thinking this would be a great way to organize the clutter associated with these well-loved and well-used toys. Problem is, as easy as it makes it to clean them up, it is just as easy to take them out again. Maybe another solution needs to be found. Delsey Luggage offers kid-sized totes and organizers that could zip up the mess in a flash. Maybe something with some compartments to keep the shoes and clothes organized. Disclaimer: This post was on behalf of CSN stores. Look for a product review from them coming soon!